The 2012 Canadian Campus Card Conference was a great educational and networking opportunity for University’s and Vendors in Canada’s campus card market. 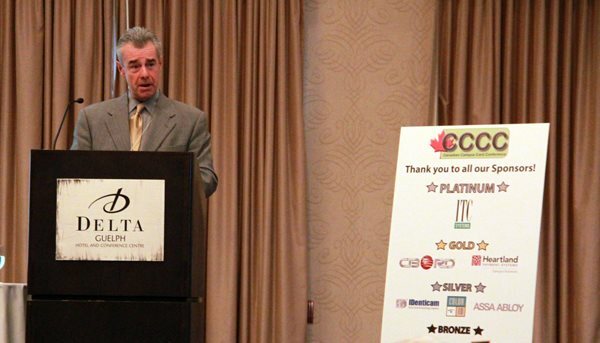 ITC Systems had the privilege and opportunity of supporting CCCC as the Platinum Sponsors this year. In this year’s conference we came together and explored the role of campus cards and transaction systems in the integration of online and mobile services that enhances customer service as well as encourages student engagement in campus activities. A lot of valuable information was shared at the exhibits, round table discussions and presentations. The great array of presentations included the following topics from the industry’s most knowledgeable individuals: Marketing and Social media, Applications for Mobile Technologies, CRA and Meal plans, Streamlining the RFP Process and Implementation Timeline, Prepaid Debit Cards, Project Management, Mobile Campus Cards, Internal Controls and External Vendor Programs. The team at ITC Systems is once again honored to be the Platinum Sponsor and supporter of CCCC and would like to take this opportunity to thank the host schools – University of Guelph and the University of Waterloo, and the key note speaker – Jeanine Brooks, the organizing committee – Altaf Virani, Munny Malik and team, all the sponsors and everyone who exhibited, attended and contributed to the conference. Thank you for making CCCC 2012 a great conference. ITC Systems is an international company, headquartered in Toronto specializing in card based micro-payment solutions for college and university campuses across Canada and the USA. We design, engineer, produce and implement state-of-the-art cashless card management solutions at campuses or any closed environment.